Sound leaves no ruins and no residues, but it is experienced constantly. It is ubiquitous but fleeting. Even silence has sound, even absence resonates. Sound and the Ancient Senses aims to hear the lost sounds of antiquity, from the sounds of the human body to those of the gods, from the bathhouse to the Forum, from the chirp of a cicada to the music of the celestial spheres. Sound plays so great a role in shaping our environments as to make it a crucial sounding board for thinking about space and ecology, emotions and experience, mortality and the divine, orality and textuality, and the self and its connection to others. From antiquity to the present day, poets and philosophers have strained to hear the ways that sounds structure our world and identities. This volume looks at theories and practices of hearing and producing sounds in ritual contexts, medicine, mourning, music, poetry, drama, erotics, philosophy, rhetoric, linguistics, vocality, and on the page, and shows how ancient ideas of sound still shape how and what we hear today. 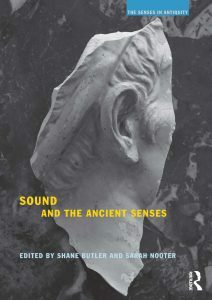 As the first comprehensive introduction to the soundscapes of antiquity, this volume makes a significant contribution to the rapidly growing fields of sound and voice studies and is the final volume of the series, The Senses in Antiquity. 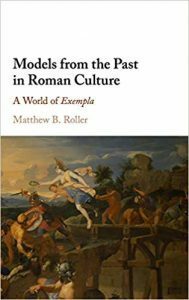 Historical examples played a key role in ancient Roman culture, and Matthew Roller’s book presents a coherent model for understanding the rhetorical, moral, and historiographical operations of Roman exemplarity. It examines the process of observing, evaluating, and commemorating noteworthy actors, or deeds, and then holding those performances up as norms by which to judge subsequent actors or as patterns for them to imitate. The model is fleshed out via detailed case studies of individual exemplary performers, the monuments that commemorate them, and the later contexts – the political arguments and social debates – in which these figures are invoked to support particular positions or agendas. Roller also considers the boundaries of, and ancient alternatives to, exemplary modes of argumentation, morality, and historical thinking. The book will engage anyone interested in how societies, from ancient Rome to today, invoke past performers and their deeds to address contemporary concerns and interests. Hero and Leander are the protagonists in a classical tale of epic but tragic love. Hero lives secluded in a tower on the European shore of the Hellespont, and Leander on the opposite side of the passage. Since they cannot hope to marry, the couple resolves to meet in secret: each night he swims across to her, guided by the light of her torch. But the time comes when a winter storm kills both the light and Leander. At dawn, Hero sees her lover’s mangled body washed ashore, and so hurls herself from the tower to meet him in death. Silvia Montiglio here shows how and why this affecting story has proved to be one of the most popular and perennial mythologies in the history of the West. Discussing its singular drama, danger, pathos and eroticism, the author explores the origin of the legend and its rich and varied afterlives. She shows how it was used by Greek and Latin writers; how it developed in the Middle Ages – notably in the writings of Christine de Pizan – and Renaissance; how it inspired Byron to swim the Dardanelles; and how it has lived on in representations by artists including Rubens and Frederic Leighton. In this book lies a key for decoding modern medical terminology, a living language that, despite some quirks, is best approached as an ordered system. 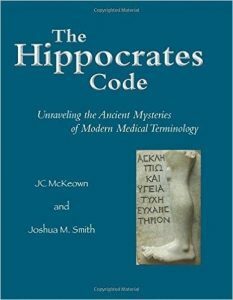 Rather than presenting a mere list of word elements to be absorbed through rote memorization, The Hippocrates Code offers a thorough, linguistically-centered explanation of the rules of the terminological game, both for the language of medicine and for scientific vocabulary in general. Its careful exposition of Latin and Greek linguistic principles—along with a healthy dose of innovative exercises—empowers students to successfully employ the word elements that are the building blocks of modern medical terminology. Along the way, fascinating discussions of the practice of medicine in the ancient world provide an integral aid to the understanding of medical vocabulary. Generations of scholars have grappled with the origins of ‘palace’ society on Minoan Crete, seeking to explain when and how life on the island altered monumentally. Emily Anderson turns light on the moment just before the palaces, recognizing it as a remarkably vibrant phase of socio-cultural innovation. Exploring the role of craftspersons, travelers and powerful objects, she argues that social change resulted from creative work that forged connections at new scales and in novel ways. 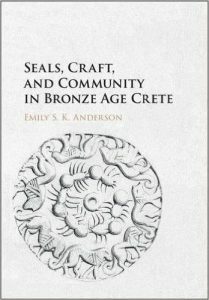 This study focuses on an extraordinary corpus of sealstones which have been excavated across Crete. Fashioned of imported ivory and engraved with images of dashing lions, these distinctive objects linked the identities of their distant owners. Anderson argues that it was the repeated but pioneering actions of such diverse figures, people and objects alike, that dramatically changed the shape of social life in the Aegean at the turn of the second millennium BCE. Fragmented, buried, and largely lost, the classical past presents formidable obstacles to anyone who would seek to know it. Deep Classics is the study of these obstacles and, in particular, of the way in which the contemplation of the classical past resembles—and has even provided a model for—other kinds of human endeavor. This volume offers a new way to understand the modalities and aims of Classics itself, through the ages. Its individual chapters draw fruitful connections between the reception of the classical and current concerns in the philosophy of mind, cognitive theory, epistemology, media studies, sense studies, aesthetics, queer theory, the history of science and eco-criticism. This groundbreaking collection of essays makes a pointed intervention in the study of the classical tradition, now generally known as classical reception studies. The papers assembled in this volume explore a relatively new area in scholarship on the ancient novel: the relationship between an ostensibly non-philosophical genre and philosophy. This approach opens up several original themes for further research and debate. Platonising fiction was popular in the Second Sophistic and it took a variety of forms, ranging from the intertextual to the allegorical, and discussions of the origins of the novel-genre in antiquity have centered on the role of Socratic dialogue in general and Plato’s dialogues in particular as important precursors. The papers in this collection cover a variety of genres, ranging from the Greek and Roman novels to utopian narratives and fictional biographies, and seek by diverse methods to detect philosophical resonances in these texts. Sleep was viewed as a boon by the ancient Greeks: sweet, soft, honeyed, balmy, care-loosening, as the Iliad has it. But neither was sleep straightforward, nor safe. It could be interrupted, often by a dream. It could be the site of dramatic intervention by a god or goddess. It might mark the transition in a narrative relationship, as when Penelope for the first time in weeks slumbers happily through Odysseus’ vengeful slaughter of her suitors. 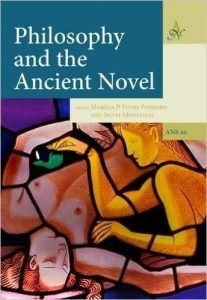 Silvia Montiglio’s imaginative and comprehensive study of the topic illuminates the various ways writers in antiquity used sleep to deal with major aspects of plot and character development. 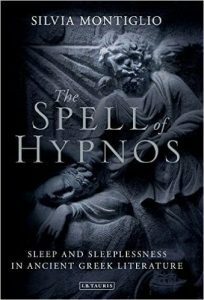 The author shows that sleeplessness, too, carries great weight in classical literature. Doom hangs by a thread as Agamemnon—in Iphigenia in Aulis—paces, restless and sleepless, while around him everyone else dozes on. Exploring recurring tropes of somnolence and wakefulness in the Iliad, the Odyssey, Athenian drama, the Argonautica and ancient novels by Xenophon, Chariton, Heliodorus and Achilles Tatius, this is a unique contribution to better understandings of ancient Greek writing. With later examples that range from Petrarch to Puccini, Mozart to Jimi Hendrix, Butler offers an ambitious attempt to rethink the voice — as an anatomical presence, a conceptual category, and a source of pleasure and wonder. He carefully and critically assesses the strengths and limits of recent theoretical approaches to the voice by Adriana Cavarero and Mladen Dolar and makes a rich and provocative range of ancient material available for the first time to students and scholars in voice studies, sound studies, and media theory. The Ancient Phonograph will appeal not only to classicists but to anyone interested in the verbal arts — literature, oratory, song — and the nature of aesthetic experience. Like us, the ancient Greeks and Romans came to know and understand the world through their senses. Yet sensory experience has rarely been considered in the study of antiquity and, even when the senses are examined, sight is regularly privileged. 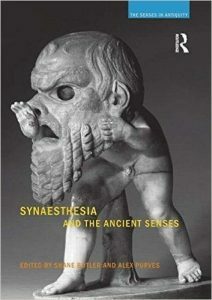 Synaesthesia and the Ancient Senses presents a radical reappraisal of antiquity’s textures, flavors, aromas, sounds and sights. It offers both a fresh look at the ancient world and an opportunity to deepen the reading of classical literature. This book will appeal to readers in classical society and literature, philosophy, and social and cultural history. All Greek and Latin is translated, and technical matters are explained for the non-specialist. The introduction sets the ancient senses within the history of aesthetics and the subsequent essays explore the senses throughout the classical period and on to the modern reception of classical literature. From the Odyssey and King Lear to modern novels by Umberto Eco and John le Carré, the recognition scene has enjoyed a long life in Western literature. It first became a regular feature of prose literature in the Greek novels of the first century CE. In these examples, it is the event that ensures the happy ending for the hero and heroine, and as such, it seems, was as pleasing for Greek readers as the canonical Hollywood kiss is for contemporary movie goers. Recognitions are particularly gratifying in the context of the ancient novels because the genre as a whole celebrates the idyllic social order to which the heroes and heroines belong and from which they have been harshly severed. In spite of their high frequency and thematic importance, novelistic recognitions have attracted little critical attention, especially in relation to epic and tragedy. 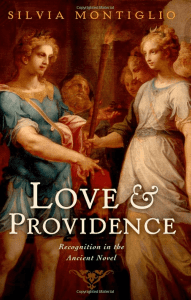 With Love and Providence, Silvia Montiglio seeks to fill this gap. She begins by introducing the meaning of recognitions in the ancient novel both within the novels’ narrative structure and thought world—that is, the values and ideals propounded in the narrative. She pursues these goals while examining novels by Chariton, Xenophon of Ephesus, Achilles Tatius, Longus, Heliodorus, Apuleius, and Petronius, as well as the Life of Apollonius of Tyre, the pseudo-Clementine recognitions, and the Jewish novel Joseph and Aseneth. In addition to addressing questions brought about by the recognitions–What does it mean for lovers to recognize each other at the end of their adventures? Is recognition the confirmation of sameness or an acknowledgement of change?–Montiglio addresses the rapport novelists entertain with their literary tradition, epic and drama. The book concludes by emphasizing the originality of the novels for the development of the recognition motif, and by explaining its influence in early-modern European literature. Sextus Empiricus’ Against the Physicists examines numerous topics central to ancient Greek inquiries into the nature of the physical world, covering subjects such as god, cause and effect, whole and part, bodies, place, motion, time, number, coming into being and perishing and is the most extensive surviving treatment of these topics by an ancient Greek sceptic. Sextus scrutinizes the theories of non-sceptical thinkers, and generates suspension of judgment through the assembly of equally powerful opposing arguments. Richard Bett’s edition provides crucial background information about the text and elucidation of difficult passages. His accurate and readable translation is supported by substantial interpretative aids, including a glossary and a list of parallel passages relating Against the Physicists to other works by Sextus. This is an indispensable edition for advanced students and scholars studying this important work by an influential philosopher. Best known for his adventures during his homeward journey as narrated in Homer’s Odyssey, Odysseus remained a major figure and a source of inspiration in later literature, from Greek tragedy to Dante’s Inferno to Joyce’s Ulysses. Less commonly known, but equally interesting, are Odysseus’ “wanderings” in ancient philosophy: Odysseus becomes a model of wisdom for Socrates and his followers, Cynics and Stoics, as well as for later Platonic thinkers. From Villain to Hero: Odysseus in Ancient Thought follows these wanderings in the world of ancient Greek and Roman philosophy, retracing the steps that led the cunning hero of Homeric epic and the villain of Attic tragedy to become a paradigm of the wise man. 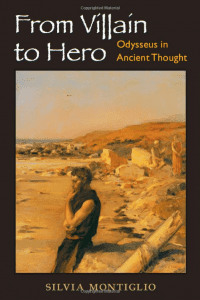 From Villain to Hero explores the reception of Odysseus in philosophy, a subject that so far has been treated only in tangential or limited ways. Diverging from previous studies, Montiglio outlines the philosophers’ Odysseus across the spectrum, from the Socratics to the Middle Platonists. By the early centuries CE, Odysseus’ credentials as a wise man are firmly established, and the start of Odysseus’ rehabilitation by philosophers challenges current perceptions of him as a villain. More than merely a study in ancient philosophy, From Villain to Hero seeks to understand the articulations between philosophical readings of Odysseus and nonphilosophical ones, with an eye to the larger cultural contexts of both. While this book is the work of a classicist, it will also be of interest to students of philosophy, comparative literature, and reception studies. Ancient and medieval literary texts often call attention to their existence as physical objects. Shane Butler helps us to understand why. Arguing that writing has always been as much a material struggle as an intellectual one, The Matter of the Page offers timely lessons for the digital age about how creativity works and why literature moves us. 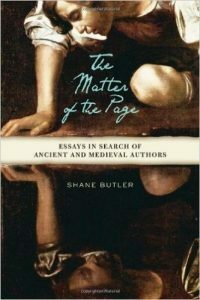 Butler begins with some considerations about the materiality of the literary text, both as a process (the draft) and a product (the book), and he traces the curious history of “the page” from scroll to manuscript codex to printed book and beyond. He then offers a series of unforgettable portraits of authors at work: Thucydides struggling to describe his own diseased body; Vergil ready to burn an epic poem he could not finish; Lucretius wrestling with words even as he fights the madness that will drive him to suicide; Cicero mesmerized by the thought of erasing his entire career; Seneca plumbing the depths of the soul in the wax of his tablets; and Dhuoda, who sees the book she writes as a door, a tunnel, a womb. Butler reveals how the work of writing transformed each of these authors into his or her own first reader, and he explains what this metamorphosis teaches us about how we too should read. In ancient Greece, the spoken word connoted power, whether in the free speech accorded to citizens or in the voice of the poet, whose song was thought to know no earthly bounds. But how did silence fit into the mental framework of a society that valued speech so highly? Here Silvia Montiglio provides the first comprehensive investigation into silence as a distinctive and meaningful phenomenon in archaic and classical Greece. Arguing that the notion of silence is not a universal given but is rather situated in a complex network of associations and values, Montiglio seeks to establish general principles for understanding silence through analyses of cultural practices, including religion, literature, and law. Unlike the silence of a Christian before an ineffable God, which signifies the uselessness of words, silence in Greek religion paradoxically expresses the power of logos—for example, during prayer and sacrifice, it serves as a shield against words that could offend the gods. Montiglio goes on to explore silence in the world of the epic hero, where words are equated with action and their absence signals paralysis or tension in power relationships. Her other examples include oratory, a practice in which citizens must balance their words with silence in very complex ways in order to show that they do not abuse their right to speak. Inquiries into lyric poetry, drama, medical writings, and historiography round out this unprecedented study, revealing silence as a force in its own right. How can we read the intricacies of figural representations painted on pottery? Such a hermeneutic progress depends on our broader understanding of ancient Greek visual signs and languages, as well as on the methodological strategies we construct and apply to our analyses. Exploring diverse methodologies, adopted or advanced in older as well as in more recent interdisciplinary research on ancient Greek vases, An Archaeology of Representations: Ancient Greek Vase-Painting and Contemporary Methodologies offers original approaches to vase-paintings of archaic and classical Greece, with an emphasis on the semiotics of ancient modes of representation. 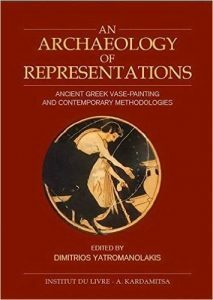 Written by an international group of eminent scholars, the essays in this book address methodological questions and propose wide-ranging interpretive arguments for the study of a large number of images from the rich and complex corpus of ancient Greek vase-painting. This exhibition catalogue, divided into three main sections, is an essential collection of images and descriptions of each of the 155 artifacts of the exhibition, containing also scrutinizing essays on the important role women played in Classical Athens. The first section, “Goddesses and Heroines”, introduces the principal female deities of Athens and Attica, in whose cults and festivals women were most actively engaged: Athena, Artemis, Aphrodite, and Demeter and her daughter Persephone. 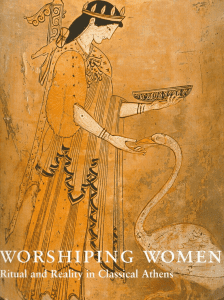 The second section, “Women and Ritual,” explores the practice of ritual acts such as dances, libations, sacrifices, processions and festivals in which women were active in classical antiquity. Here the critical role of the priestess comes to light, specifically in her function as key-bearer for the temples of the gods. The final section, “Women and the Cycle of Life,” looks at how religious rituals defined moments of transition. This section focuses on nuptial rites and wedding banquets but also death, another occasion on which Athenian women took on major responsibilities, such as preparing the deceased for burial and tending the graves of family members. Contributors include, in addition to the editors, Professor Mary Lefkowitz of Wellesley College; Professor Olga Palagia of the University of Athens; Dr. Angelos Delivorrias, director of the Benaki Museum; Professor Michalis Tiverios of the Aristotelion University of Thessaloniki; Professor Joan Breton Connelly of New York University; Professor Jenifer Neils of Case Western Reserve University; and Professor John Oakley of the College of William and Mary in Virginia, among others. 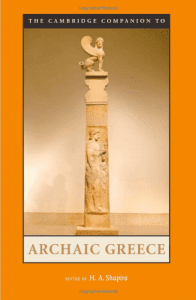 The Cambridge Companion to Archaic Greece provides a wide-ranging synthesis of history, society, and culture during the formative period of Ancient Greece, from the Age of Homer in the late eighth century to the Persian Wars of 490–480 B.C. In 10 clearly written and succinct chapters, leading scholars from around the English-speaking world treat all aspects of the civilization of Archaic Greece, from social, political, and military history to early achievements in poetry, philosophy, and the visual arts. Archaic Greece was an age of experimentation and intellectual ferment that laid the foundations for much of Western thought and culture. Individual Greek city-states rose to great power and wealth, and after a long period of isolation, many cities sent out colonies that spread Hellenism to all corners of the Mediterranean world. This Companion offers a vivid and fully documented account of this critical stage in the history of the West. By far the most detailed surviving examination by any ancient Greek sceptic of epistemology and logic, this work critically reviews the pretensions of non-sceptical philosophers, to have discovered methods for determining the truth, either through direct observation or by inference from the observed to the unobserved. A fine example of the Pyrrhonist sceptical method at work, it also provides extensive information about the ideas of other Greek thinkers, which in many instances, are poorly preserved in other sources. What was really going on at Roman banquets? 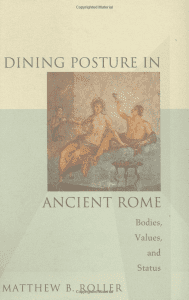 In this lively new book, veteran Romanist Matthew Roller looks at a little-explored feature of Roman culture: dining posture. In ancient Rome, where dining was an indicator of social position as well as an extended social occasion, dining posture offered a telling window into the day-to-day lives of the city’s inhabitants. 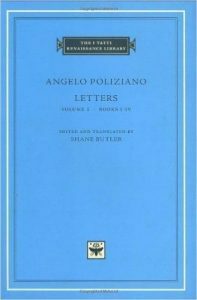 Angelo Poliziano (1454–1494) was one of the great scholar-poets of the Italian Renaissance and the leading literary figure of the Age of Lorenzo de’ Medici, “il Magnifico.” His correspondence gives us an intimate glimpse of the revival of classical literature from the pen of a man at the very center of the Renaissance movement. This volume illuminates his close friendship with the philosopher Pico della Mirandola and includes much of the correspondence concerning the composition and reception of his Miscellanies, a revolutionary work of philology. It also includes his famous and moving letter on the death of Lorenzo de’ Medici. This volume contains the first modern edition of the Latin text and the first translation of the letters into English. From the Archaic period to the Greco-Roman age, the figure of the wanderer held great significance in ancient Greece. 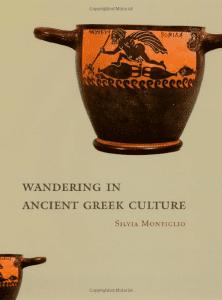 In the first comprehensive study devoted to this theme, Wandering in Ancient Greek Culture unearths the many meanings attached to this practice over the centuries. 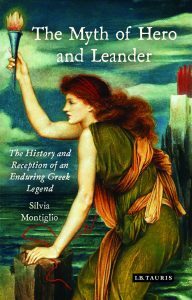 Employing a broad range of literary and philosophical texts, Silvia Montiglio demonstrates how wandering has been conceptualized from Homer’s Odysseus—the hero “who wandered much”—in the eighth century BCE to pagan sages of the early Roman Empire. Attitudes toward wandering have evolved in accordance with cultural perspectives, causing some characterizations to persist while others have faded. The status of wanderers in Greek societies throughout history, for example, varied from outcasts and madmen to sages, who were recognized as mystical, even divine. The positive connotations of the activity became more prominent beginning with the fourth century BCE, owing especially to the Cynic philosophers. Examining the act of wandering through many lenses, Wandering in Ancient Greek Culture addresses questions such as: Why did the Greeks associate the figure of the wanderer with the condition of exile? How was the expansion of the world under Rome reflected in the connotations of wandering? Does a person learn by wandering, or is wandering a deviation from the truth? In the end, this matchless volume shows how the transformations that affected the figure of the wanderer coincided with new perceptions of the world and of travel, and invites us to consider its definition and import today. 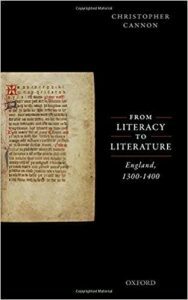 The centuries just after the Norman Conquest are the forgotten period of English literary history. In fact, the years 1066-1300 witnessed an unparalleled ingenuity in the creation of written forms, for this was a time when almost every writer was unaware of the existence of other English writing. 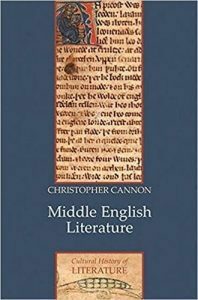 In a series of detailed readings of the more important early Middle English works, Cannon shows how the many and varied texts of the period laid the foundations for the project of English literature. This richness is given credit for the first time in these readings by means of an innovative theory of literary form that accepts every written shape as itself a unique contribution to the history of ideas. This theory also suggests that the impoverished understanding of literature we now commonly employ is itself a legacy of this early period, an attribute of the single form we have learned to call ‘romance’. 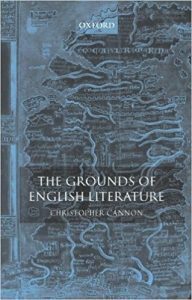 A number of reading methods have lately taught us to be more generous in our understandings of what literature might be, but this book shows us that the very variety we now strive to embrace anew actually formed the grounds of English literature-a richness we only lost when we forgot how to recognize it. Richard Bett presents a ground-breaking study of Pyrrho of Elis, who lived in the late fourth and early third centuries BC and is the supposed originator of Greek scepticism. In the absence of surviving works by Pyrrho, scholars have tended to treat his thought as essentially the same as the long subsequent sceptical tradition which styled itself “Pyrrhonism.” Bett argues, on the contrary, that Pyrrho’s philosophy was significantly different from this later tradition, and offers the first detailed account of that philosophy in this light. Bett considers why Pyrrho was adopted as the figurehead for that tradition. Bett also investigates the origins and antecedents of Pyrrho’s ideas; in particular, Plato is singled out as an important inspiration. The result is the first comprehensive picture of this key figure in the development of philosophy. The new claims that Bett puts forward have major implications for the history and interpretation of ancient Greek thought. 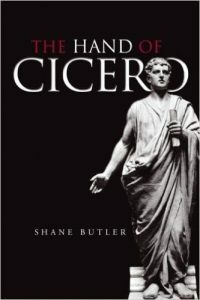 What did Antony want with Cicero’s hand? Hundreds perished in Rome’s Second Proscription, but one victim is remembered above all others. Cicero stands out, however, not only because of his fame, but also because his murder included a unique addition to the customary decapitation. For his corpse was deprived not only of its head, but also of its right hand. Plutarch tells us why Mark Antony wanted the hand that wrote the Philippics. But how did it come to pass that Rome’s greatest orator could be so hated for the speeches he had written? Charting a course through Cicero’s celebrated career, Shane Butler examines two principal relationships between speech and writing in Roman oratory: the use of documentary evidence by orators and the ‘publication’ of both delivered and undelivered speeches. He presents this fascinating theory that the success of Rome’s greatest orator depended as much on writing as speaking; he also argues against the conventional wisdom that Rome was an ‘oral society’, in which writing was rare and served only practical, secondary purposes. Rome’s transition from a republican system of government to an imperial regime comprised more than a century of civil upheaval and rapid institutional change. Yet the establishment of a ruling dynasty, centered around a single leader, came as a cultural and political shock to Rome’s aristocracy, who had shared power in the previous political order. How did the imperial regime manage to establish itself and how did the Roman elites from the time of Julius Caesar to Nero make sense of it? In this compelling book, Matthew Roller reveals a “dialogical” process at work, in which writers and philosophers vigorously negotiated and contested the nature and scope of the emperor’s authority, despite the consensus that he was the ultimate authority figure in Roman society. Roller seeks evidence for this “thinking out” of the new order in a wide range of republican and imperial authors, with an emphasis on Lucan and Seneca the Younger. 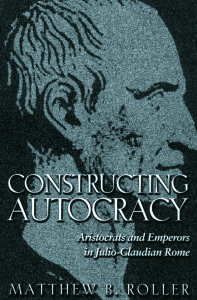 He shows how elites assessed the impact of the imperial system on traditional aristocratic ethics and examines how several longstanding authority relationships in Roman society—those of master to slave, father to son, and gift-creditor to gift-debtor—became competing models for how the emperor did or should relate to his aristocratic subjects. By revealing this ideological activity to be not merely reactive but also constitutive of the new order, Roller contributes to ongoing debates about the character of the Roman imperial system and about the “politics” of literature. This volume contains a new translation of Against the Ethicists, together with an introduction and extensive commentary. Those who have discussed this work in the past have tended to underestimate it, regarding its main position as essentially the same as that of Sextus’s better-known Outlines of Pyrrhonism. Richard Bett shows that this text proposes a distinct and previously unnoticed philosophical outlook, associated with a phase of Pyrrhonian Scepticism earlier than Sextus himself. This book is a study of Chaucer’s words. It describes how these words became evidence for calling Chaucer the “father of English poetry” but, also, why that label is wrong. It shows that Chaucer’s language is, in fact, traditional and argues that his linguistic innovation was as much performance as fact. 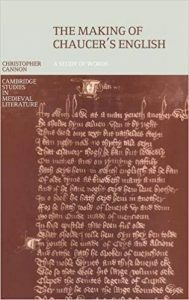 It provides a thorough history of every one of Chaucer’s words and maps the origins and patterns of use that have made these words so compelling for six hundred years.